You may have seen Tom’s larger than life kaleidoscopes here at the German American Heritage Center or even around the Quad Cities, but now he’s bringing the knowledge to you in a one of a kind class! 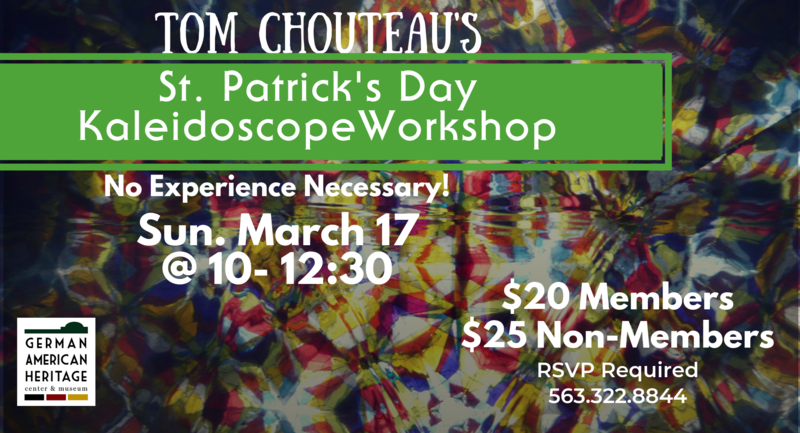 Artist Tom Chouteau will be teaching a kaleidoscope class, instructed with each step to build your very own St. Patricks Day inspired piece of art! Call 563.322.8844 to reserve your spot!